On May 7, deputies in the Oxnard area were dispatched for an avocado theft in progress at a nearby grove. 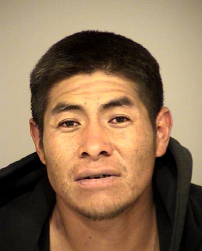 The suspect, later identified as Oxnard resident Leobardo Govea, stole several pounds of avocados and fled on a bicycle. Deputies later arrested Govea at a nearby fruit stand after he was positively identified by the person who reported the theft. If you have experienced recent avocado thefts and suspect Govea (pictured below) was involved, contact the Sheriff’s Dispatch at 805.654.9511 and ask that a deputy visit your location to file a crime report. The California Avocado Commission has a number of theft prevention resources available on its website, including avocado theft protection signs, an avocado theft reporting hotline and an anti-theft reward program.